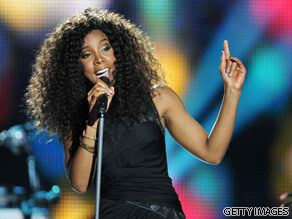 Singer Kelly Rowland may have been part of one of the most successful girl bands of the 20th century, but that hasn't stopped her from carving out her own bit of fame as a solo artist. Kelly Rowland is your Connector of the Day. The 29-year-old American singer was born as Kelendria Trene Rowland and made her name as one of the founding members of the girl group, "Destiny's Child". The group signed with Columbia Records in 1997 and recorded their first breakthrough single called "Killing Time" which was on the hit film "Men in Black." But it wasn't really until their second album that the group became a household name - their song "Say My Name" won the Grammy award for best R & B song by a group as well as the best R & B song in 2001. As the group continued to gain worldwide success, Rowland branched out into solo projects and began recording a range of songs as an individual artist. While Rowland has continued her musical success, the singer has also devoted a large portion of her time to humanitarian and social causes. Rowland is heavily involved in the 1Goal: Education for all, World Cup campaign that is aiming to bring education to children around the world. Estimates say that there are more than 72 million children around the world without the opportunity to go to school. Does advertising for abortion on TV cross the line? from at least one Catholic group. Does advertising for abortion on TV go too far? The organization, Marie Stopes International, will air its first commercial next week in what is being described as an initial attempt of British Television to "confront the taboo" of abortion. The commercial will direct viewers to a telephone help line which, Marie Stopes claims will offer advice on getting an abortion. "Clearly there are hundreds of thousands of women who want and need sexual health information and advice, and access to services," Marie Stopes International's CEO Dana Hovig said. "Last year alone we received 350,000 calls to our 24 hour help line." There has however been strong opposition to the commercial from anti-abortion activists. The Society for the Protection of the Unborn Child told the Independent newspaper that they would try every means to stop the broadcast. "Marie Stopes may claim to be a non-profit organisation, but they have a financial interest in drumming up demand for abortion. We are taking advice regarding the legality of the scheduled advertisement," a spokesperson said. Do you think advertising for abortions or help lines on television crosses the line? Please leave your comments below and let us know where you're writing from.